Starting a new class is a critical time. many early career teachers begin in an unfamiliar teaching assignment. Most experienced elementary teachers use a general approach to start their class. They refine it each year as they learn more efficient and effective ideas and strategies. use their suggestions to illustrate good teaching strategies that can be used all year. why, so that you can adapt the ideas to your class. Almost 100% of participants say they would recommend the workshops to a colleague, and a survey indicates most continue to use the strategies more than 5 years later. are created by some of the most experienced presenters at the myPITA conference held each October. We hope you and districts and others will share them with early career teachers, and build their own. Contact Ray to learn how we can help you get started. These three video workshops illustrate a practical way to help early career teachers. They can be used by early career teachers on their own, by mentors to complement their one-to-one support, by districts for induction, and by TTOCs to build their teaching skills as they begin. If you find them useful, let your colleagues and local ProD committee know about them. Ask your district, local, or favorite teacher resource person if they would help you by creating more. We'd be happy to help them. A new teachers' first challenge is: 'How do I begin?' Ray provides specific, practical suggestions to help early career, intermediate teachers. focus on the 3 main tasks of the first week: Building Routines and Class Climate, and a Quick Evaluation. Ray illustrates important teaching principles through the suggested strategies. It saves critical preparation time in the first week, which enables new teachers to better prepare for the following weeks. It include complete set of resources and a free downloadable 33 pg. descriptive booklet. More than 1000 teachers who have attended this workshop have overwhelming recommended this workshop. Click on the workshop link to see more. Ray was President of myPITA for 8 years and focused upon supporting new teachers for over a decade. Elaine Jaltema is a master teacher. Her workshop is a description of her method of building avid readers and class climate through Literature Circles. She describes her recipe in detail so you can learn the good teaching strategies embedded within. For example, notice the clear visual and questions she asks in this sequence as she teaches students to select books in the picture on the right. There are 7 sections so you can concentrate on each stage as you go. Hundreds of new teachers have learned many effective, time saving strategies from this master teacher. Elaine was President of myPITA and was awarded the Premier's Award for Teaching Excellence in Literacy. Helping struggling students to develop strong basic skills in Math reduces their anxiety and fosters confidence that initiates success. Come and learn strategies to plan your Math program, stomp out Math anxiety, and create a positive atmosphere in your classroom. Included in this workshop is a wealth of resources including an introduction to Mastering the Basics, a Trevor Calkins program (now available in French). 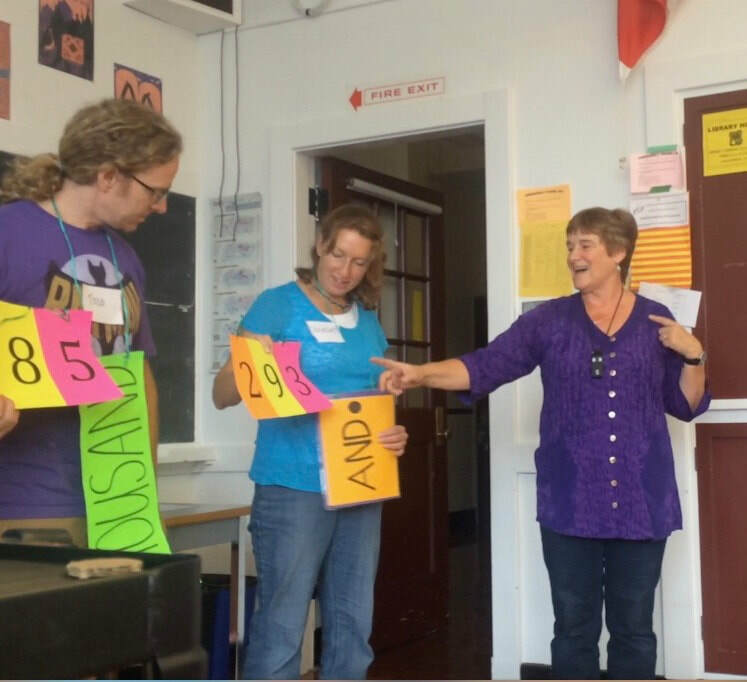 Ann-Marie Hunter, from Kamloops, started her teaching career as a high school Math teacher and once she transferred to intermediate grades, she never looked back! Ann-Marie finds the amazing spirit of Grade 4 – 8 students to be inspiring. Teaching them provides a wonderful opportunity to help children become confident learners; in particular, she strives to help all kids love Math! With the completion of the three workshops on video, the main focus now is on collecting evidence of the effect of Start UP! 's professional orientation, and sharing the method of creating resources for new teachers. almost 100% participants would recommend the workshop to a new teacher. Most teachers continue to use the strategies after more than 5 years. Most teachers continue to recommend almost all the suggested strategies after more than 5 years. Like actors & athletes, teachers need to REHEARSE to perfect their craft. Every workshop or video contains strategies and ideas you can use and rehearse as a TTOC, then use later to start your own class. Ask teachers you know how they begin, and add to these plans! Consider watching our videos with your mentor or protege. They can help you with local context and new ideas. Then if you wish, both can try the ideas, and learn from each other's experience! Ann-Marie is passionate about enabling students (and teachers!) to become confident in math. 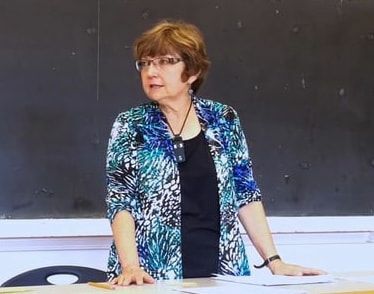 During over Ann-Marie's 31 years of elementary teaching experience in Kamloops, she acted as a liaison and resource for her colleagues within her school, the district. She was an executive member of both myPITA and Start UP! He taught intermediate classes for over 20 years, mostly in Burnaby. He was instrumental in building and coordinating the Start UP! Program and advocates for early career teachers. Elaine Jaltema received the first Premier's Award for Teaching Excellence in Literacy and was President of myPITA for six years. She teaches intermediate classes in Burnaby and is the mother of three grown sons. She is passionate about empowering struggling learners and inspiring students to become life-long readers. More than 1500 BC teachers have participated in the Start UP! during the past decade. Almost 100% of participants said they would recommend the program to another new teacher. Start UP! has received financial support primarily from myPITA, but also from other PSAs, BCTF Local Pro D committees, especially Burnaby, Surrey and Kamloops. It has been recommended by teachers new and experienced at all levels of BC's educational system. "Taking the August Start UP! series was absolutely invaluable in preparing for my grade 7 assignment (I had no upper intermediate experience). It gave me a lot of resources and ideas to use immediately in the classroom, as well as peace of mind knowing that I didn't have to invent the wheel." “Two years ago I attended... 'Start UP! Your Classroom Successfully. You gave many different, amazing and awesome ideas on how to get classrooms up and running for the first week of school. "The beginning of a new school year is both exciting and terrifying as a new teacher. Nothing can truly prepare you for the challenges but without Start UP!, my first year teaching would have been utterly overwhelming. Beyond the amazing unit plans and creative lesson ideas, Start UP! gave me confidence in myself." This work has been possible because of wonderful teachers who shared their summers and ProD to help new teachers, especially the contributions of Elaine Jaltema, and Ann-Marie Hunter. myPITA ... Major financial support for 12 years, and for carrying on by hosting these resources. the RR Smith Foundation, and BCTF Local ProD committees, especially in Burnaby, Kamloops and Surrey.